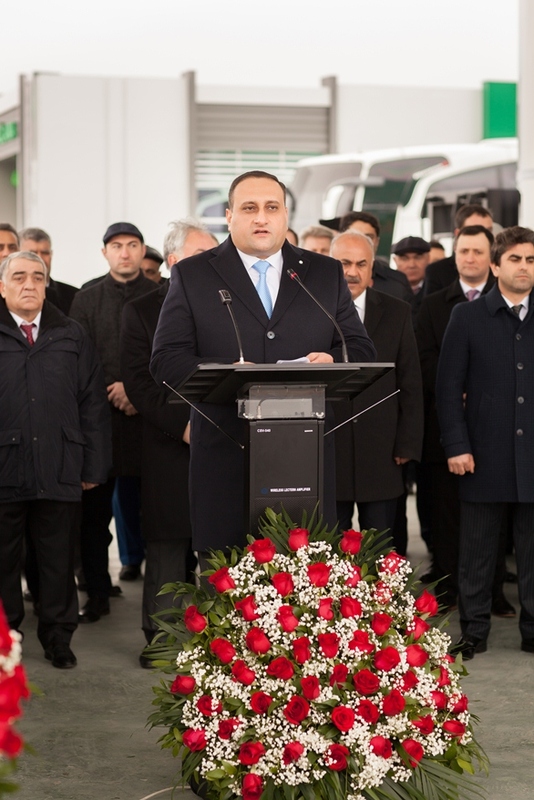 “Azpetrol”company opened its new petrol station on Baku-Astara highway in Salyan region on February 2, 2019. This is the 90th petrol station of “Azpetrol”. The representative of Salyan Region Executive Power and other guests participated in the opening of the new station. During the opening of the station, “Azpetrol” company general director Jeyhun Mammadov noted that the opening of our present station is a significant day, the Day of Youth. The state youth policy, laid down by the national leader Heydar Aliyev, has given a deep impetus to the future development of Azerbaijani youth. According to the Decree of the Great Leader dated February 2, 1997, February 2 was declared the Day of Azerbaijani Youth. The rapid development of science and technology in recent period, the beginning of the postoil period necessitated the Azerbaijani government to pursue a policy consistent with the demands of time. Taking into account this need, Mr. Ilham Aliyev, the successor of the Great Leader's policy, has signed the Order on “Azerbaijan Youth Development Strategy 2015-2025” dated January 26, 2015, in order to ensure the intellectual, physical and spiritual development of young people in the socio-economic, socio-political and cultural life of the country. The General Director of the company further underlined that in 2018, Azpetrol together with a well-known Azerbaijani project “ASAN service” started construction of complex stations in Shamakhi and Kurdamir regions. The installation of “ASAN service” centers in these districts is carried out for the convenience of population. In the mentioned service centers it is planned to provide services not only to residents of this region, but also to residents of neighboring and remote regions. The main goal of “Azpetrol” company is to maintain its current position in the private sector of the economy and to contribute to the development of our economy by gaining higher achievements. With the launch of the second, new station in Salyan, the issue of opening 23 permanent jobs is one of the priorities of the company. “Azpetrol” company plans to expand its network of petrol stations as well. Thus, the Company intends to launch new petrol stations in Kurdamir and Shamakhi regions in the near future. In addition, the Company plans to build several petrol stations in Baku.